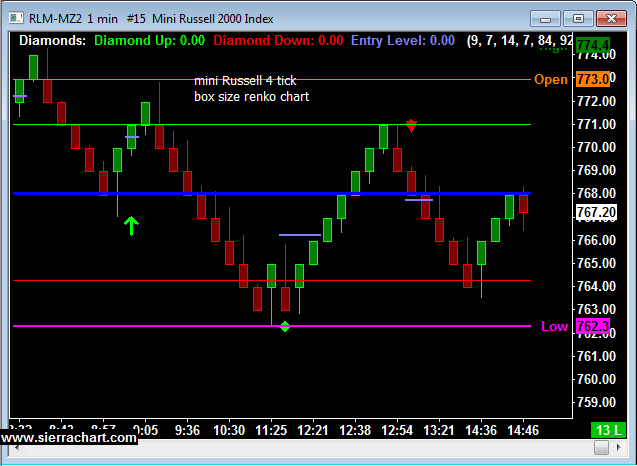 I have been “playing around” , testing renko charts for day trading set ups and find them intriguing enough to spend some more time studying renko charts along with some indicators I like for different day-trading set ups. 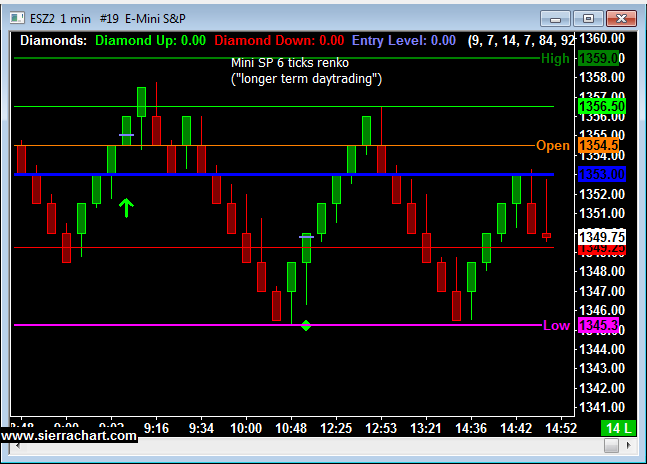 Would you like to have access to my DIAMOND and TOPAZ ALGOs as shown above and be able to apply for any market and any time frame on your own PC ? You can now have a two weeks free trial where I enable the ALGO along with few studies for your own sierra/ ATcharts. 1. Are you currently trading futures? 2. Charting software you use? 4. Markets you currently trading?